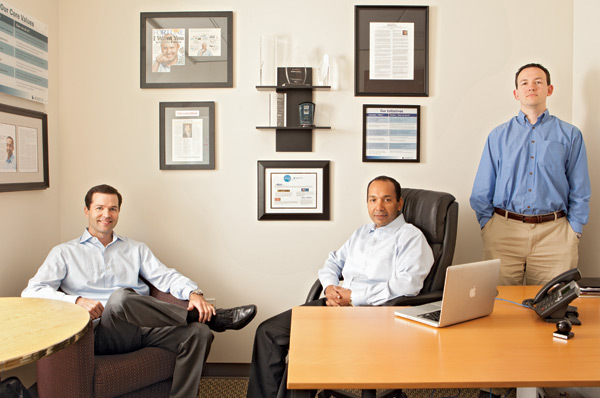 Though it’s barely five years old, Bellevue-based Apptio is off to an incredibly strong start. In Q1 2012, the software startup scored $50 million in venture capital, quickly outpacing its peers in the region. And for good reason: Apptio is at the forefront of the emerging field of Technology Business Management, or TBM. Apptio’s TBM tools enable managers to assess the cost of IT services, to communicate those costs to corporate leadership, and then to plan, budget and forecast accordingly. Still, that rapid influx of cash raises this question: What sets Apptio apart from the multitude of software firms competing for the attention of venture capitalists? Chris Pick, Apptio’s chief marketing officer, says the answer is simple: Apptio’s people. At Apptio, that curiosity is rewarded handsomely. Employees receive full health insurance coverage, a substantial allotment of paid time off and a first-rate reimbursement program for professional development activities. Every six weeks, Apptio’s employees nominate two Apptio Superstars, both of whom receive a cash bonus and the opportunity to win the calendar-year Superstar Award—a distinction that comes with an all-expenses-paid vacation for two. It’s been 143 years since Walla Walla’s Baker Boyer Bank was founded, and much has changed in southeastern Washington since then. Washington became a state. Whitman College grew into a respected liberal arts institution. The Snake River was dammed and converted into a high-volume, inland shipping route. Through it all, the employees of Baker Boyer Bank have enjoyed one of the best workplaces in the state. In addition to fully funded medical, dental and vision insurance, the bank offers an industry-best wellness program. (On-site personal trainers, cooking classes and fitness reimbursements, anyone?) Baker Boyer tops it off with a 6 percent match on employees’ 401(k) contributions and a generous profit-sharing program. Simply put, Synapse is a company that makes cool stuff. Whether it’s building a best-of-breed GPS sport watch with Nike and TomTom, creating new AirFloss technology with Philips’ Sonicare, or designing field-ready DNA analysis devices, Synapse is always building something brilliant. Aside from their thrilling work, Synapse’s employees—including inventors, designers, engineers, technologists and strategists—are rewarded with full medical coverage for themselves and their dependents, a 4 percent match on employee 401(k)s and company-sponsored health savings accounts. Those benefits, combined with a sparkling, newly remodeled downtown office complete with rock-climbing wall and foosball table, place Synapse amongst our top three large companies in 2012.